Lisa Harper-Brown has an Honours degree in music from the University of Western Australia. For the West Australian Opera between 1994 and 1996, she appeared as The First Lady in The Magic Flute, in the title role of Handel’s Alcina and as Rosalinde in Die Fledermaus. Lisa Harper-brown made her debut for Opera Australia in 1997 appearing as the First Lady in the Oz Opera touring production of The Magic Flute and since then has understudied Yvonne Kenny’s performances of the title role in The Coronation of Poppea and Armide in Rinaldo, and has sung Pamina in the company’s Melbourne season of The Magic Flute. Of her performances of Helena in A Midsummer Night’s Dream, The Australian wrote: ‘ …the lustrous Lisa Harper-Brown, a goofy Joyce Grenfell-esque, Helena…’ and, during 2001 and 2002, she appeared as Fiordiligi in Cosi Fan Tutte, of which The Herald Sun reviewer said ‘…her dark edged soprano promises a thrilling future’, and The Australian called her ‘…a knock-out as the febrile Fiordiligi’, while the Sydney Morning Herald reviewer said she was ‘…a delightfully sensuous Fiordiligi...constantly focussed. Opera Opera declared ‘The secret, on this occasion, to exciting success was in the casting of Fiordiligi. She is a difficult performer to forget, tall and willowy…a committed actor…I found [her] performance satisfying in a way that is rare at the opera…"
On the concert stage her appearances have included engagements as soloist for performances of Gorecki’s Symphony of Sorrowful Songs mounted by the University of Western Australia, recitals in Florence, Den Haag, Malaga and Fuengerola, Spain, in Oxford, and throughout the UK including concerts at St James’s, Piccadilly and St Martins in the Fields in London. During 1995, in the UK, she was one of the soloists in Mendelssohn’s Elijah appearing alongside British baritone, Benjamin Luxon. She has been a guest artist in Mozart by Moonlight in Sydney’s Botanical Gardens, performances she repeated in 1998 and 2001. She was guest artist in the Sydney Symphony Orchestra’s Symphony under the Stars in the Sydney Festival of which the Sydney Morning Herald said ‘Lisa Harper-Brown…the clarity and precision of her voice had the crispness of summer wine. Yes, thank you, some more please’, and, with the same orchestra was engaged as one of the Valkyries in its concert performances of Die Walküre. For the Melbourne Symphony she has been soloist in Barber’s Knoxville, Summer of 1915, with Orchestra Victoria she appeared in Opera in the Bowl in the Myer Music Bowl in Melbourne and has given guest appearances for the Australian Pops Orchestra in the Melbourne Concert Hall and the Sydney Opera House. She appeared in the Sydney 2000 Olympics Opera Gala. 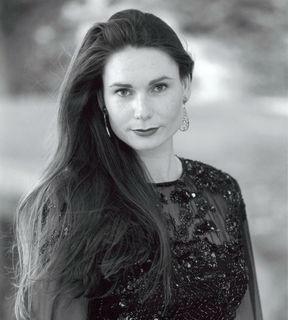 Lisa Harper-Brown’s 2002 engagements included Echo in Ariadne auf Naxos and the Countess in The Marriage of Figaro in Opera Australia’s Sydney and Melbourne seasons, performances which won her a Helpmann Award for Best Supporting Actress and, during 2003, Diana in Orpheus in the Underworld and a return to Helena in A Midsummer Nights Dream both for Opera Australia. 2004 engagements included Ortlinde in the State Opera of South Australia’s Die Walküre and Dvorak’s Stabat Mater, both in the Perth International Festival and during 2005, Musetta in Opera Queensland’s La boheme. She appeared as the First Lady in The Magic Flute for Hamburg State Opera during 2006.